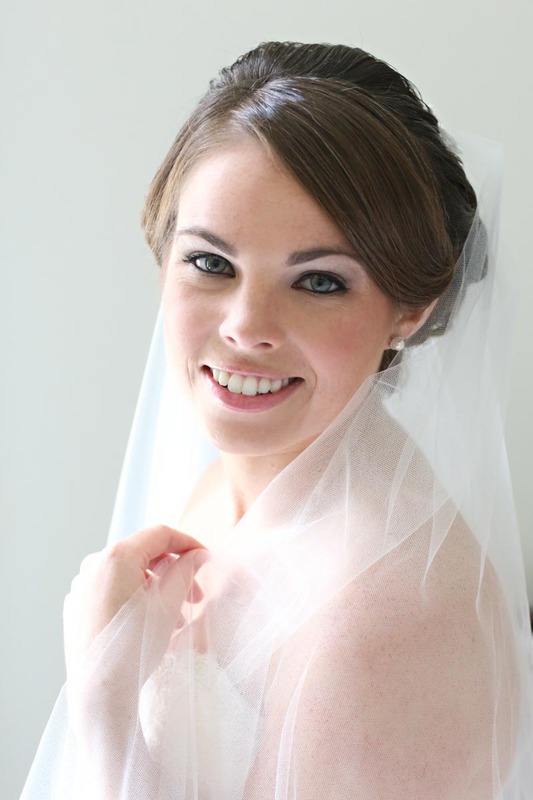 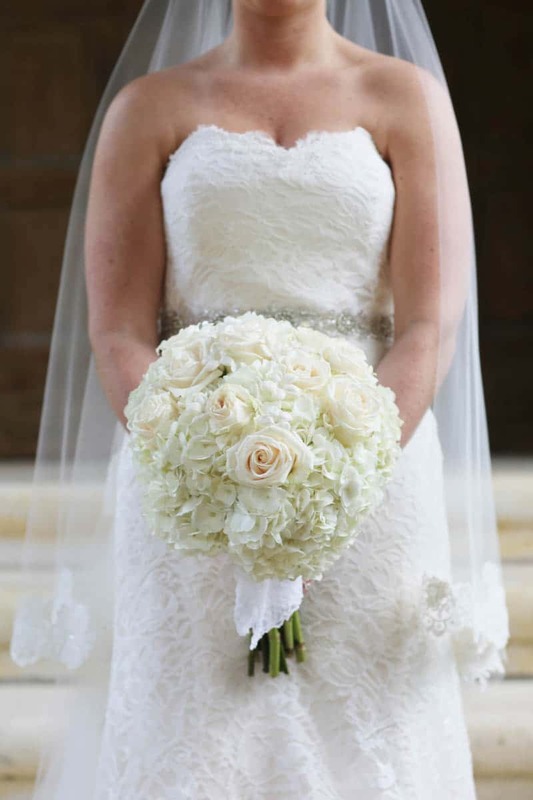 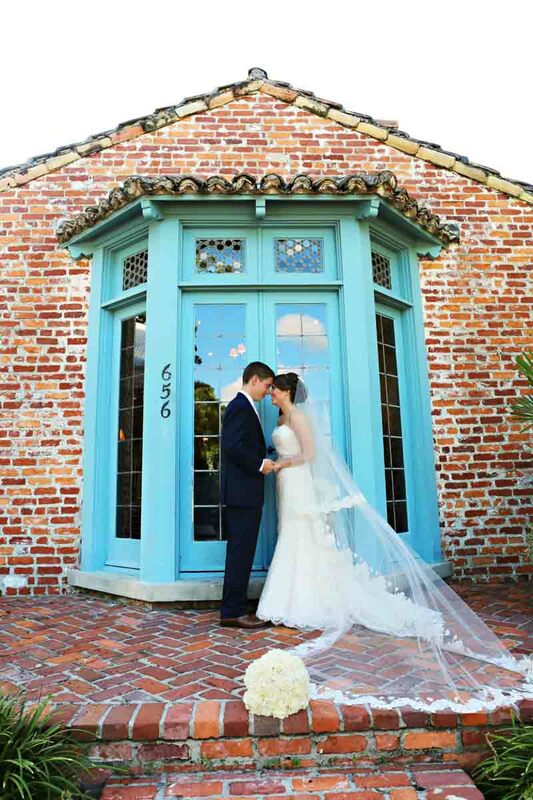 From Heather Rice Photography: After meeting while attending Rollins College in Winter Park, FL, Alison and Jason quickly fell in love. 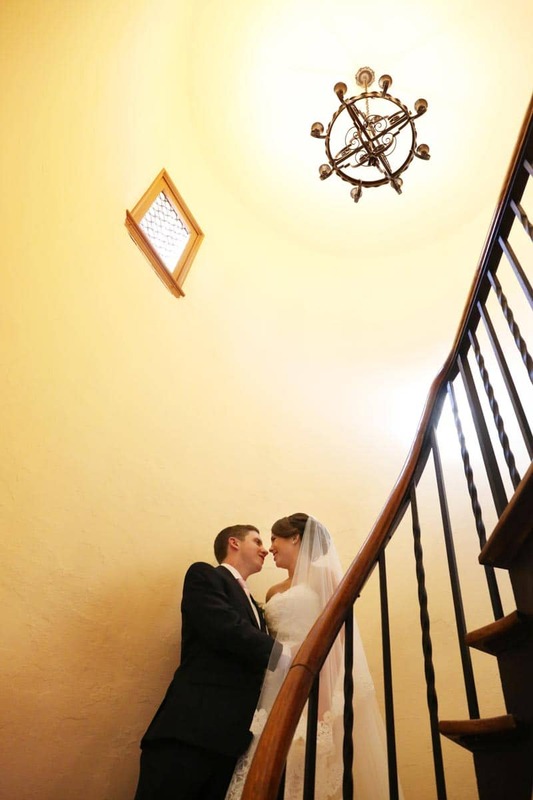 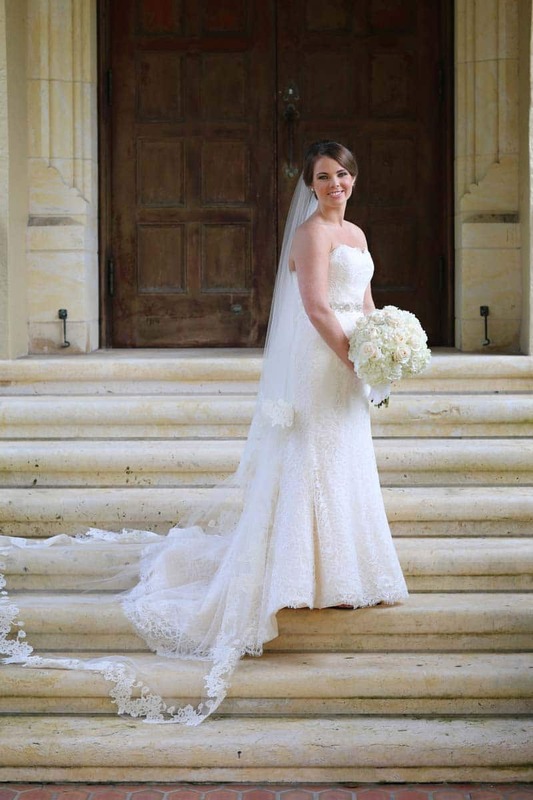 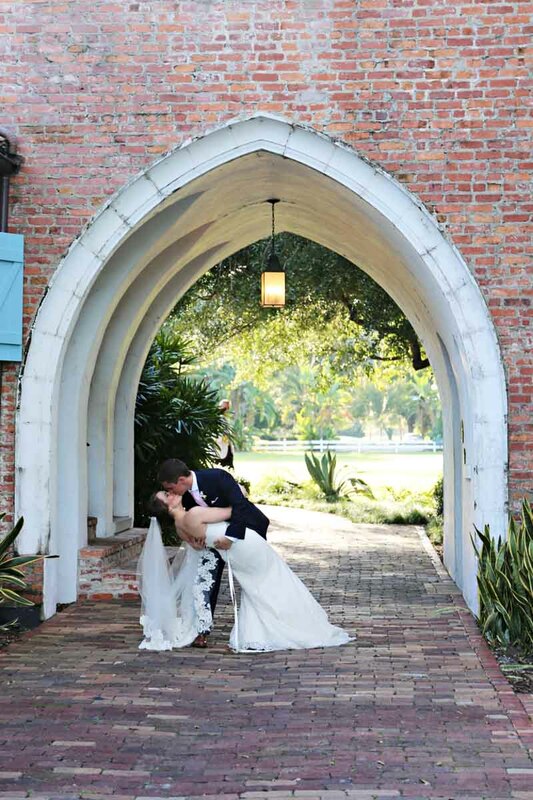 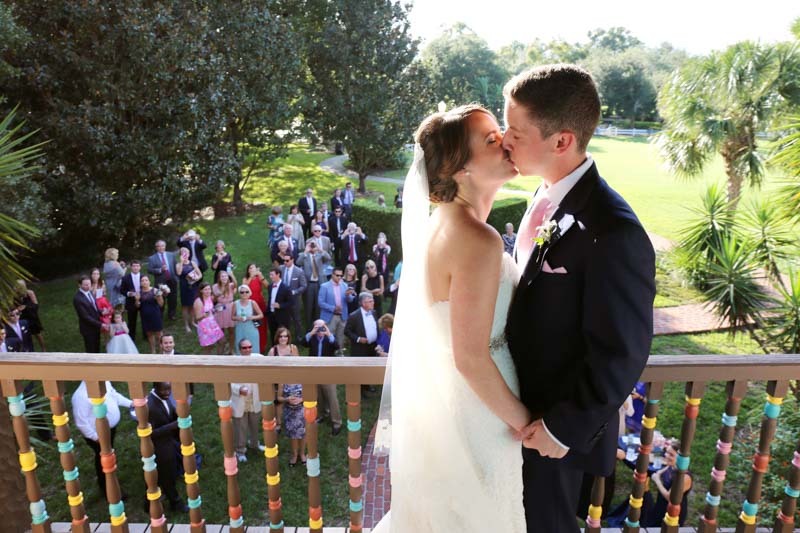 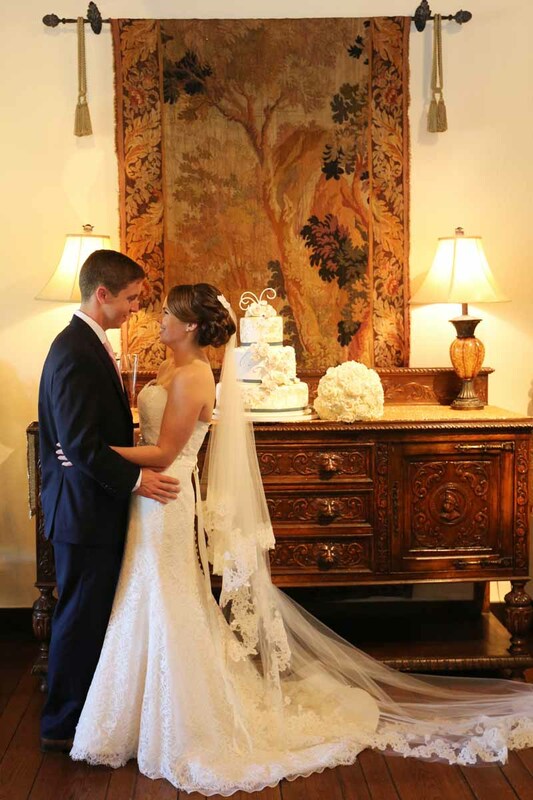 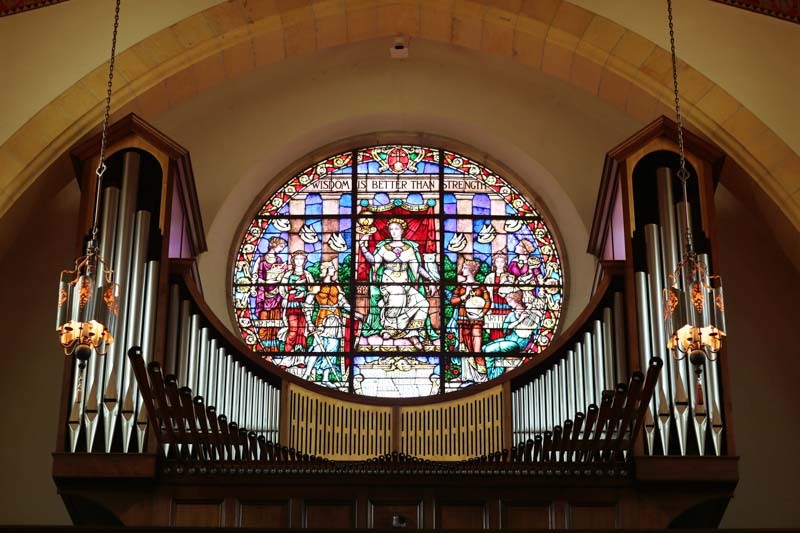 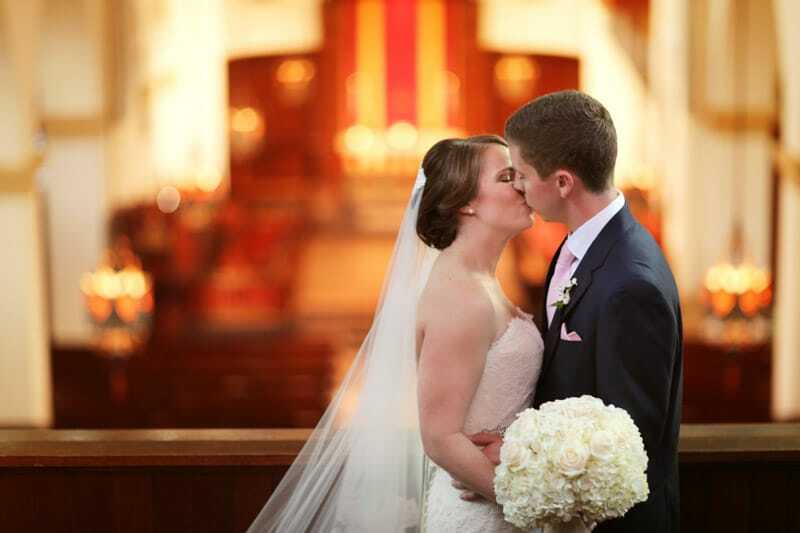 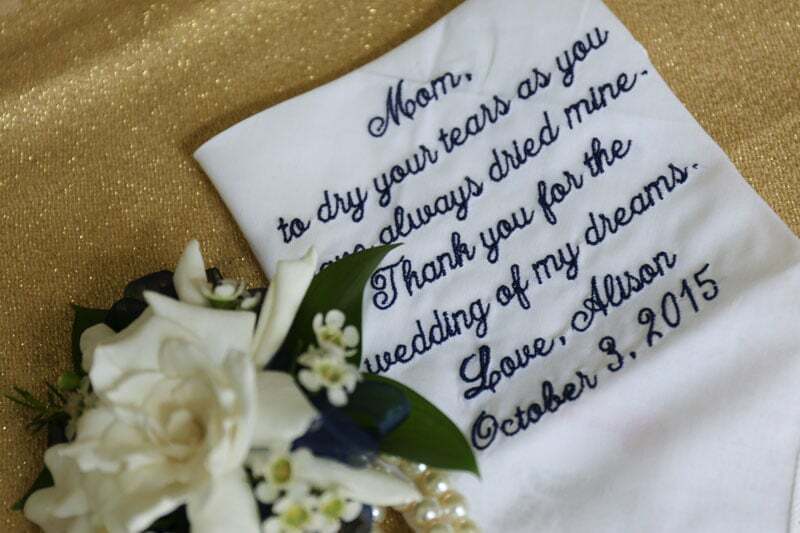 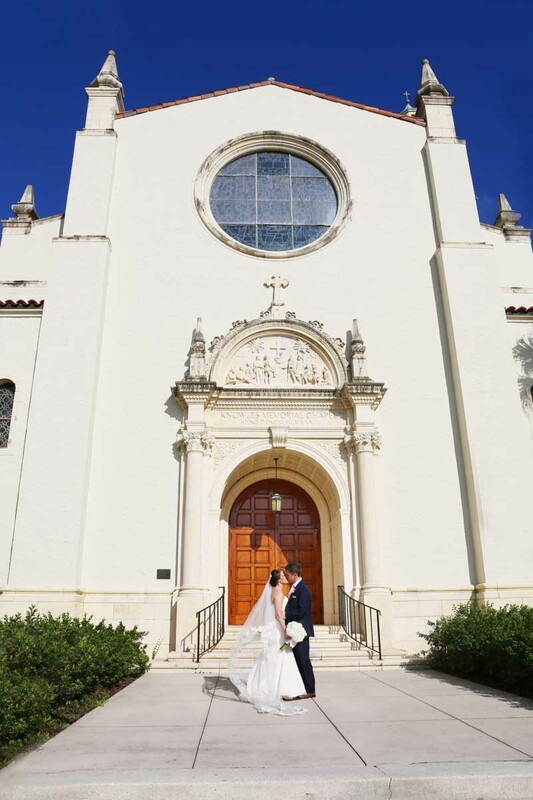 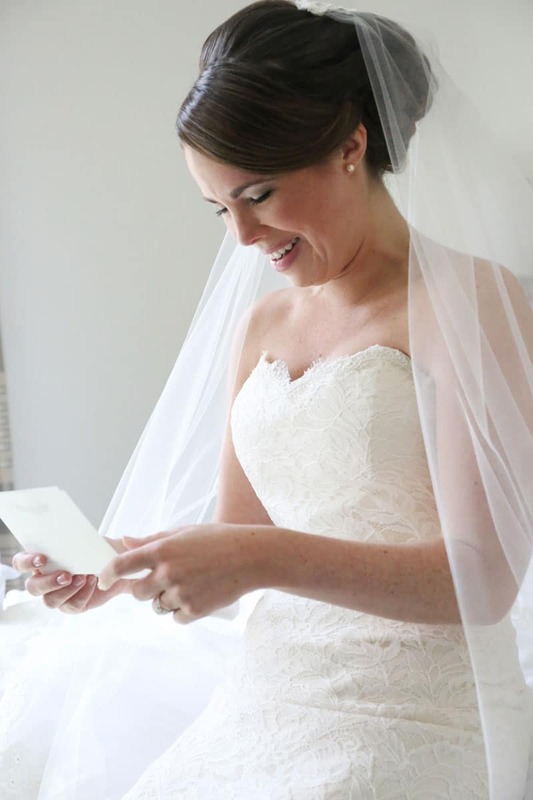 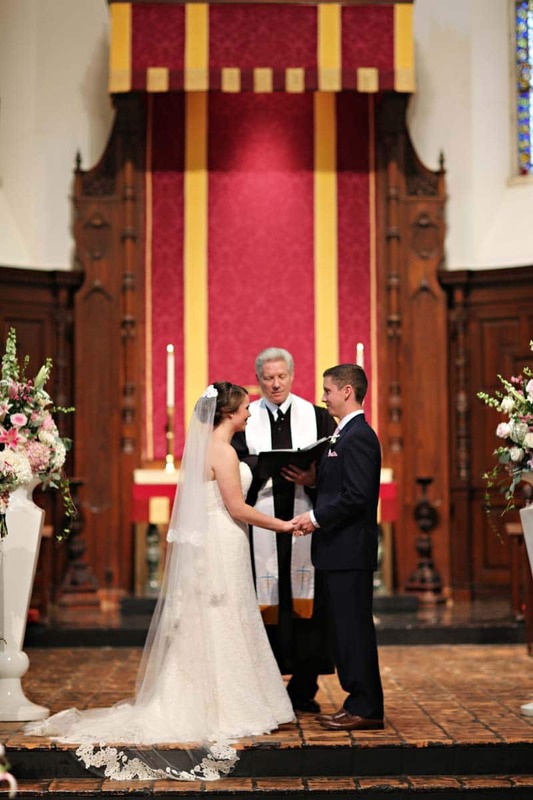 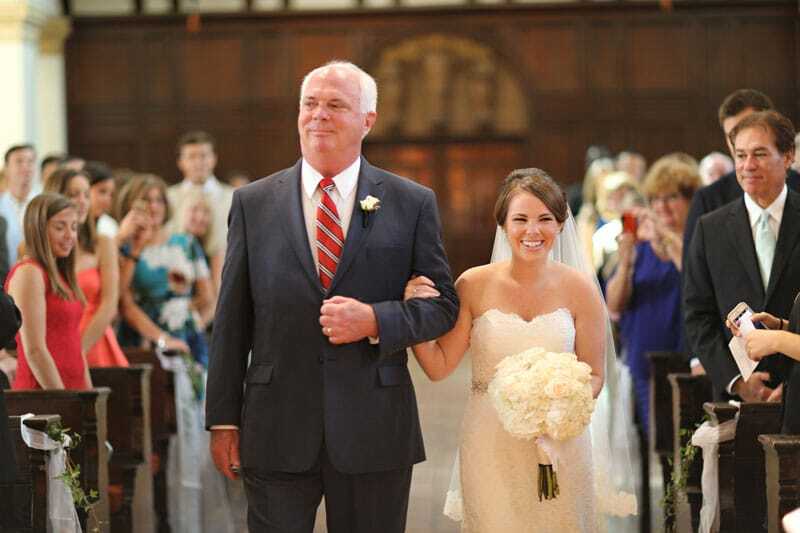 Soon after Jason proposed, the couple began planning the details of their wedding day and knew they wanted to be married at Knowles Memorial Chapel, on the Rollins campus. 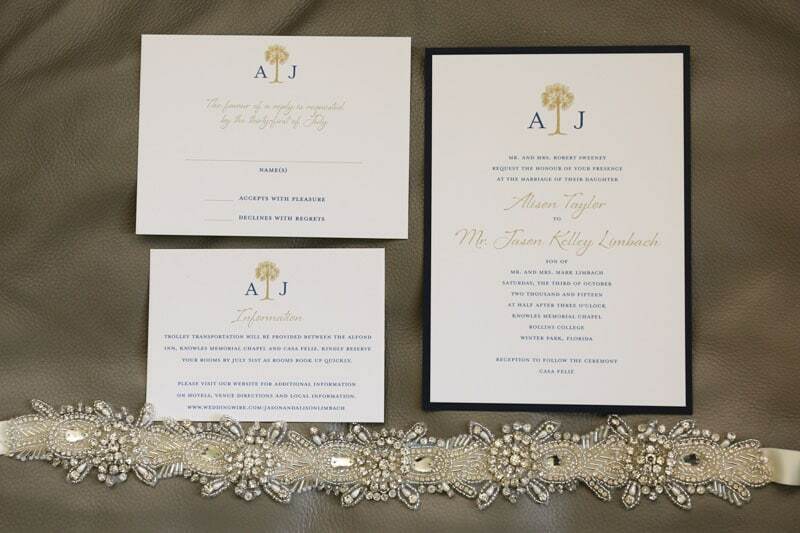 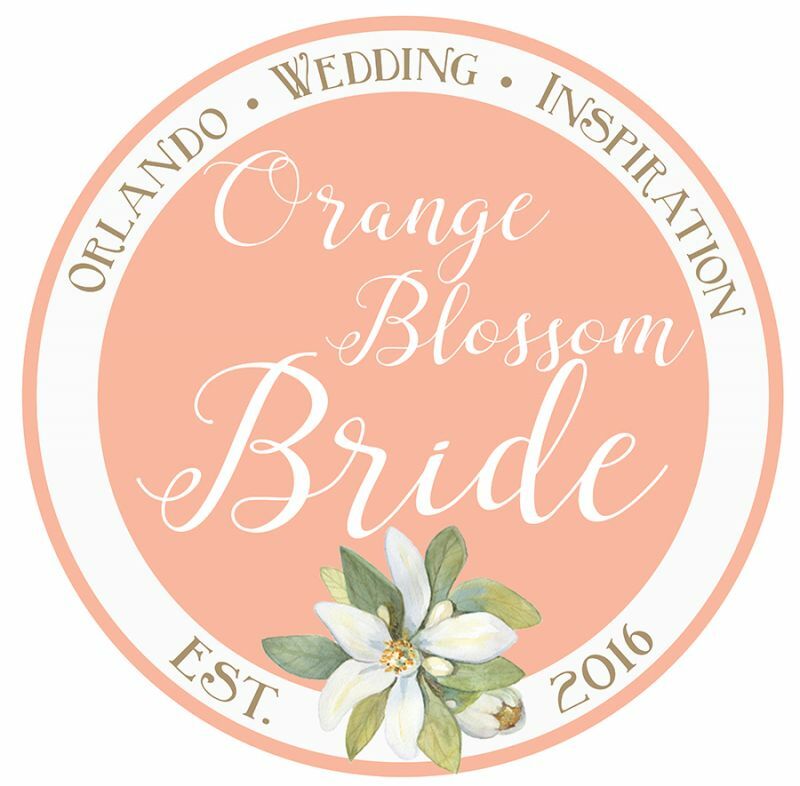 Since the two lived in Pennsylvania, this would mean planning a destination wedding in the hometown of their Alma Mater in Winter Park, FL. 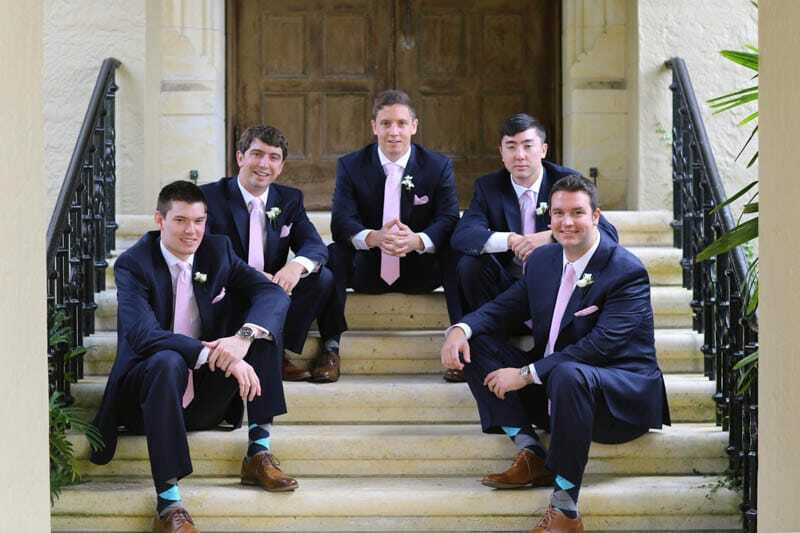 Their family and friends flew down and celebrated with them in style. 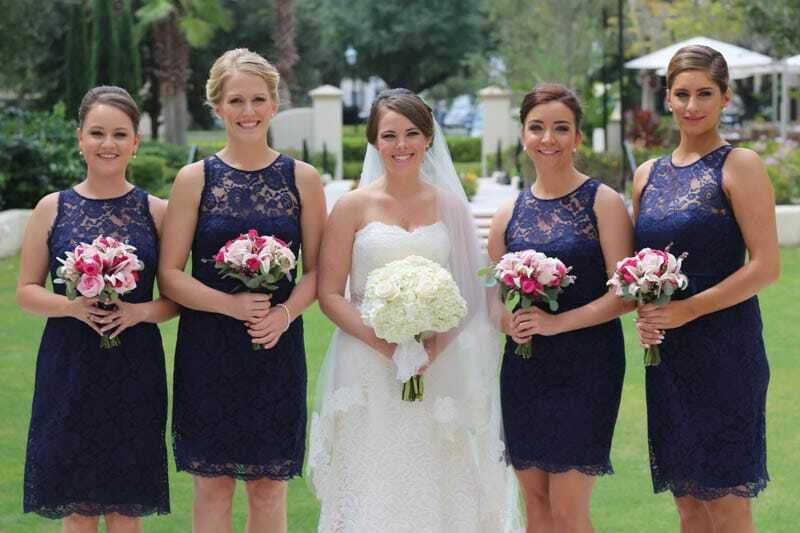 Alison and her bridesmaids got ready at the Alfond Inn and made their way to Knowles Memorial Chapel for a gorgeous afternoon wedding. 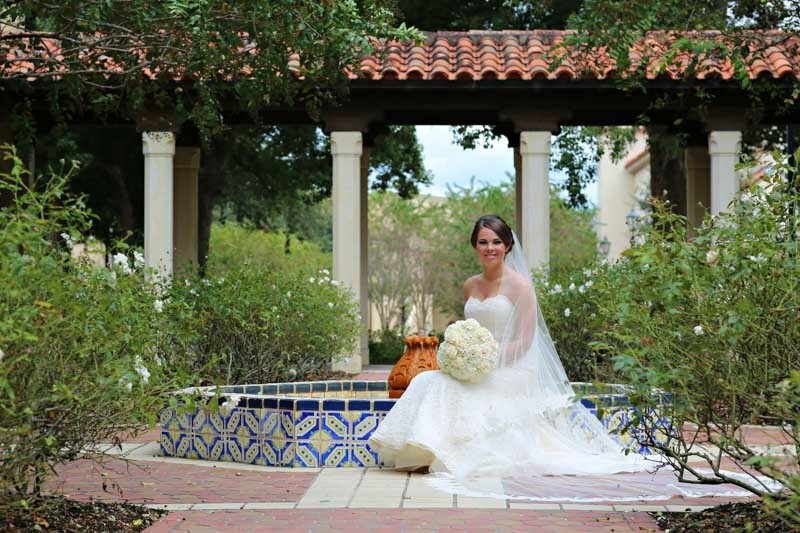 Their portraits were taken all around the Rollins campus. 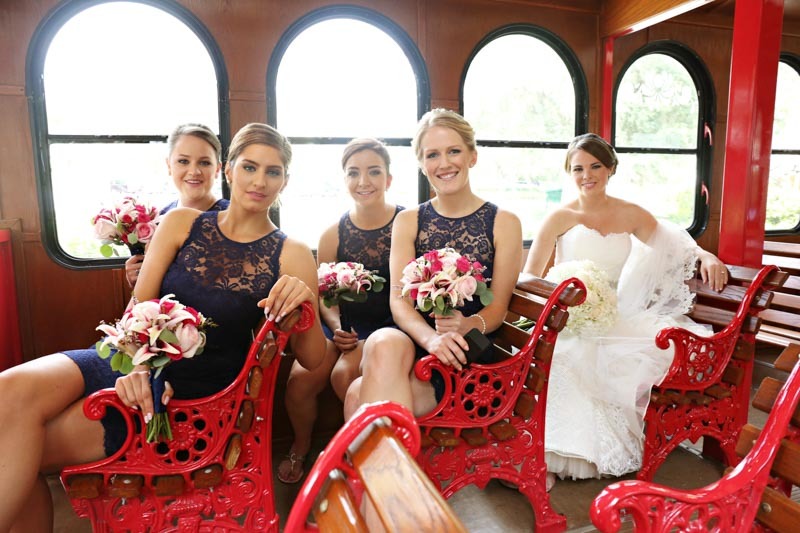 The group transported their wedding party and guests with a fun red trolley, provided by Buckingham Palace Trolley, to and from the wedding and reception locations. 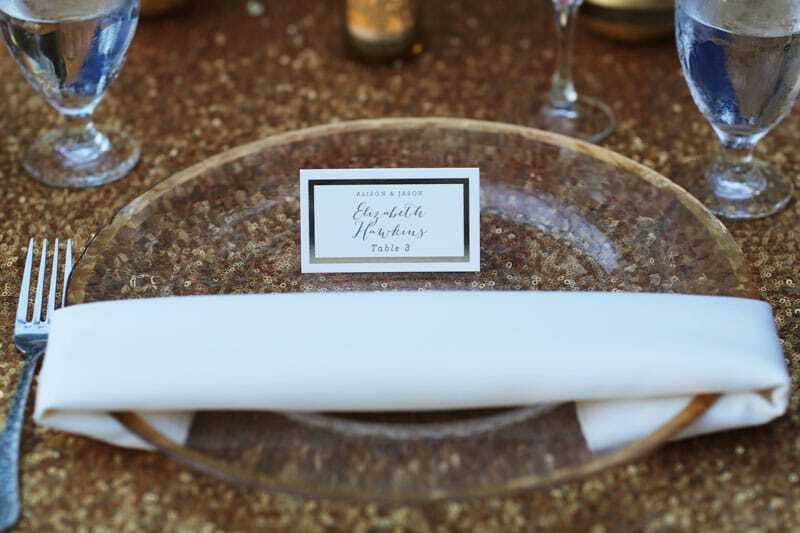 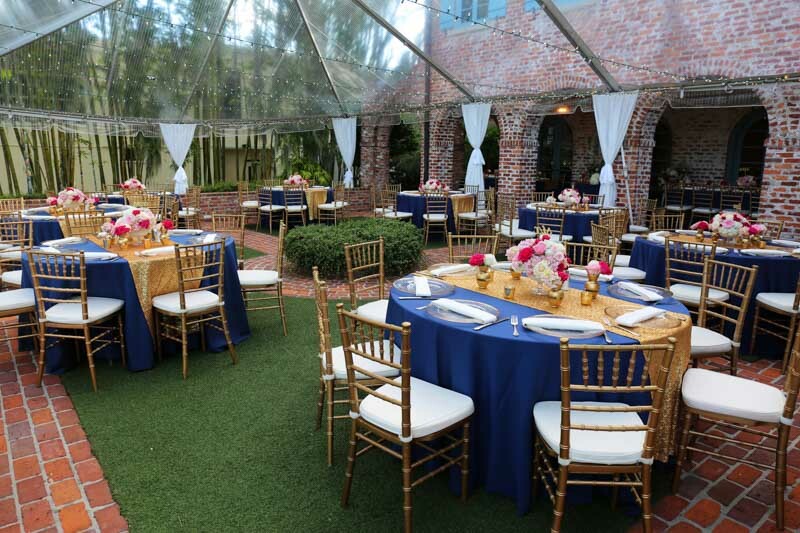 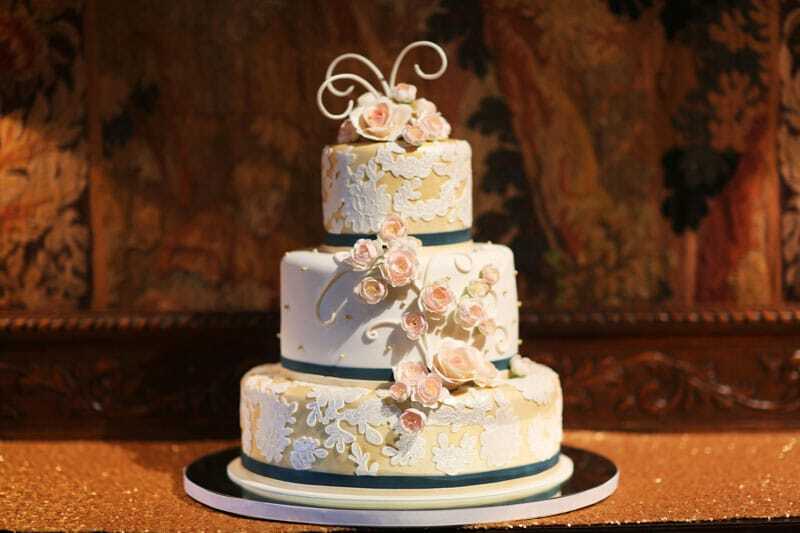 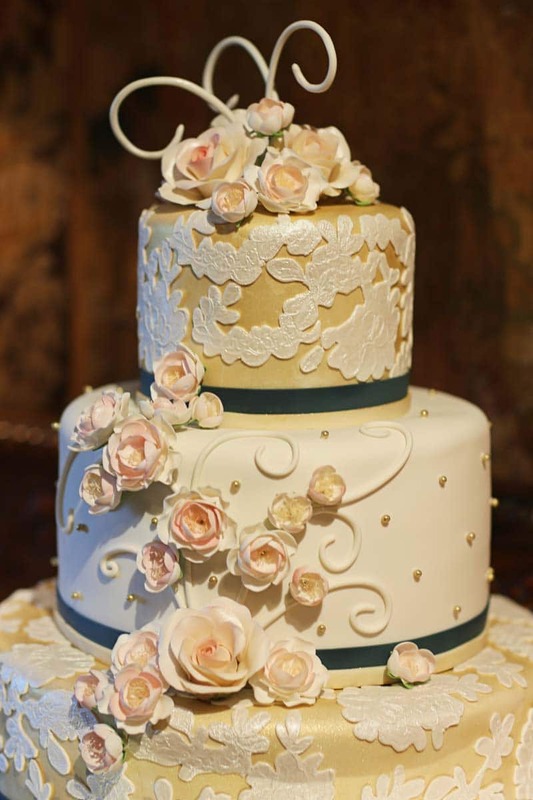 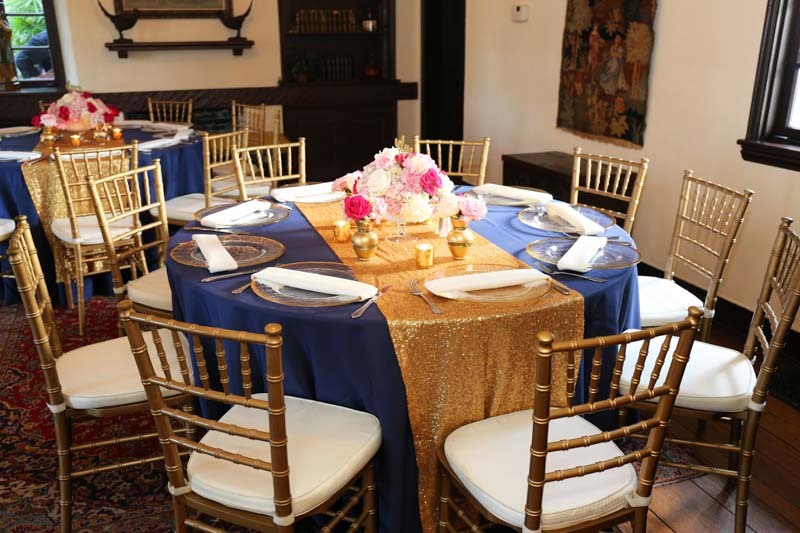 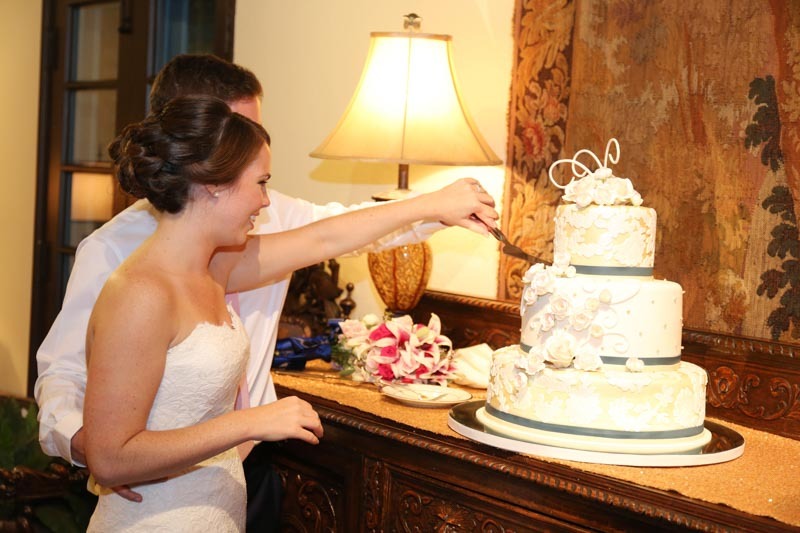 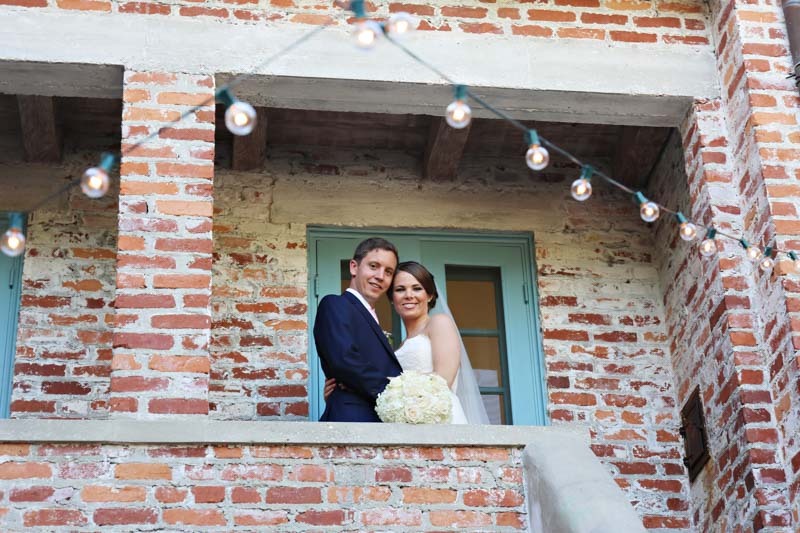 The reception took place at historic Casa Feliz on Park Ave in Winter Park. 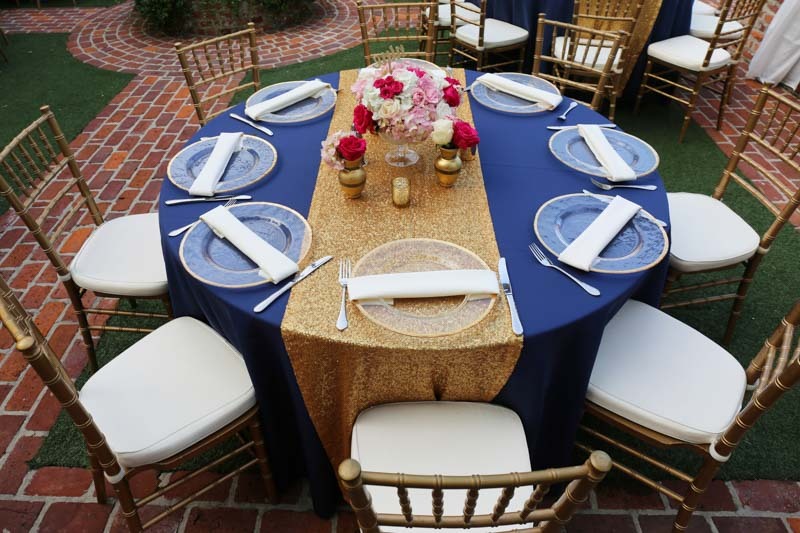 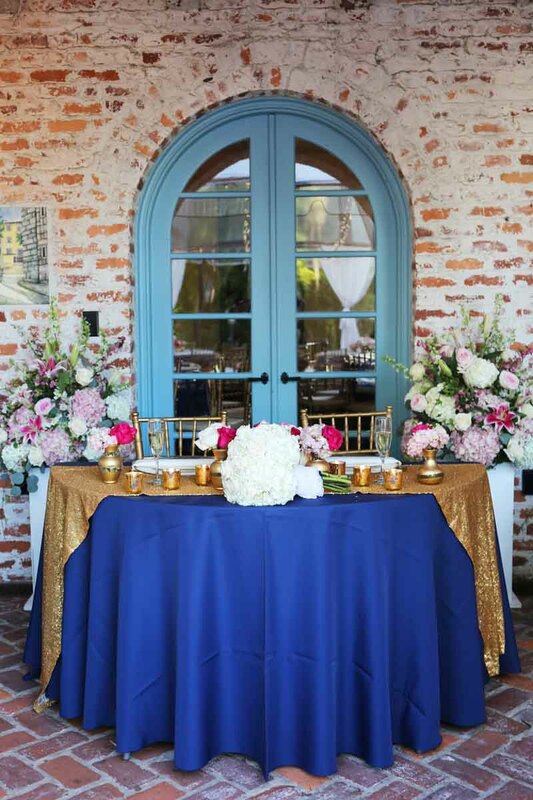 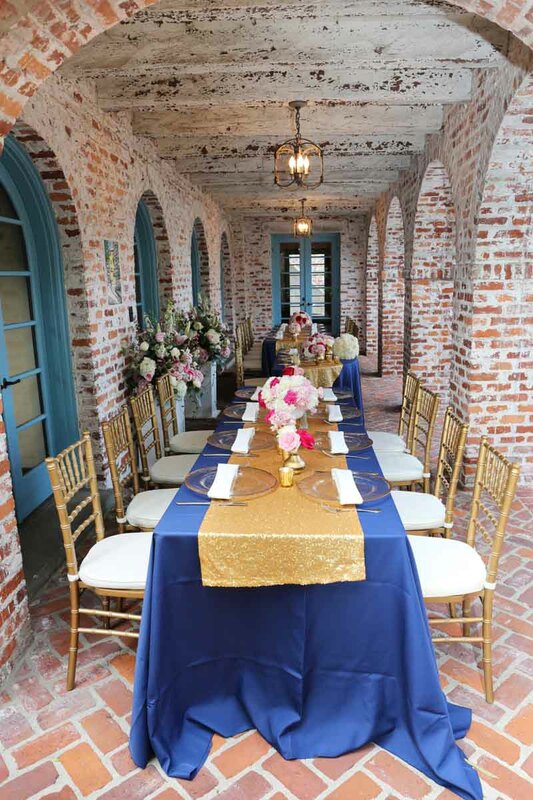 The rustic blue shutters and worn brick was the perfect accent for their school color-themed reception, with royal blue and gold linens and chargers. 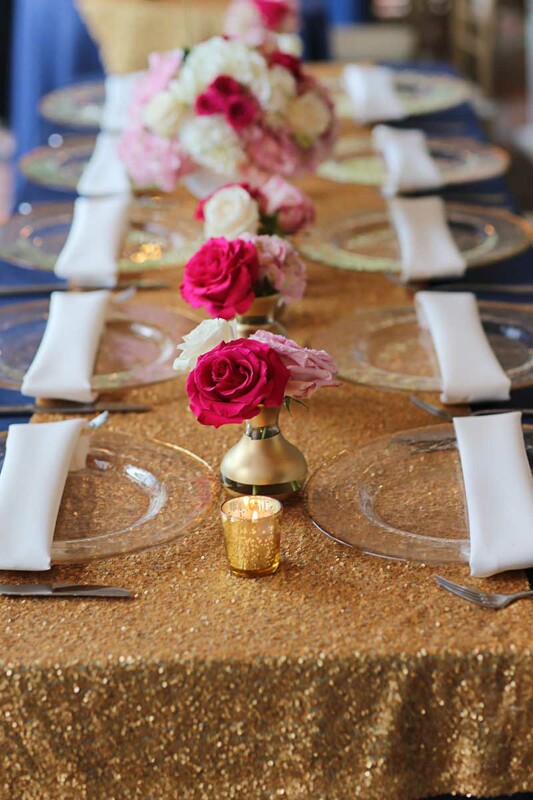 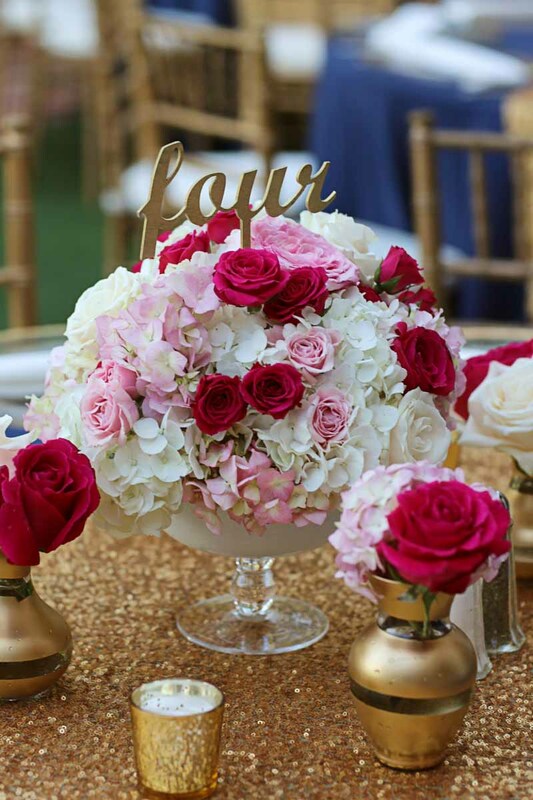 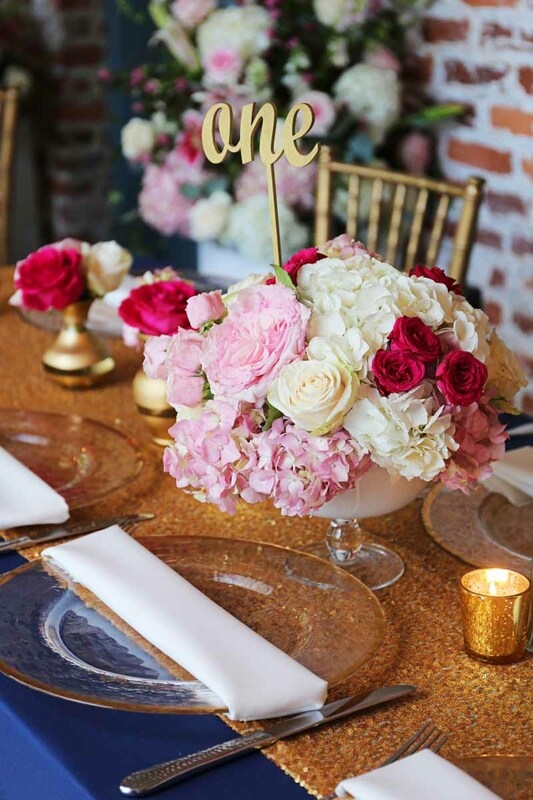 Pops of pink perfectly accented the colors on the tables.